DIAL: Grey dial signed Lecoultre. Silver central disc with triangle, MEMOVOX and HPG logo. Original hours and minutes silver baton hands with white central sweep seconds hand. 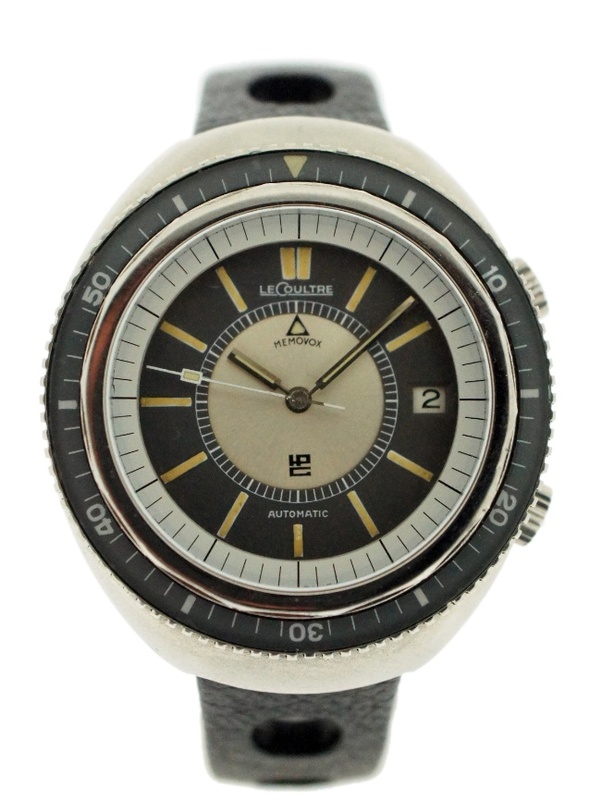 According to Jaeger LeCoultre, the second incarnation of the Memovox Polaris, Polaris II in 1970, was fitted with a high-frequency calibre with a balance oscillating at 28,800 vph. In the American 'LeCoultre' version, the dial was marked HPG meaning High Precision Guarantee. Its one-piece screwed case gave the Jaeger-LeCoultre 916 alarm calibre increased volume of sound. Red and Grey color were available for visibility at different shallow depths, while the light blue color is the last colour in the spectrum to remain visible at great depth. 1120 examples of this model were manufactured.